U.S. District Court Judge Ronald L. Buckwalter has decided that former state Senator Vincent J. Fumo can travel freely throughout Pennsylvania and New Jersey without needing advance approval from his parole officer. Fumo's lawyer, Dennis Cogan, had filed a motion on June 17th seeking to modify Fumo's travel restrictions. Cogan filed the motion after Fumo's parole officer denied him permission to visit his condo at the Jersey Shore and a 99-acre farm his fiancee owns outside Harrisburg. Because it's Vince Fumo we're talking about, the government filed a motion in opposition, which was immediately trumpeted as big news by The Philadelphia Inquirer. The prosecutors who put Fumo away for 61 months wanted to require the defendant to notify his parole officer in advance, as well as get her authorization before he went anywhere while on probation. But today, Judge Buckwalter issued an order granting the defendant's motion with one stipulation. Every Monday, the judge wrote, Fumo has to supply his probation officer with an itinerary for the week "setting forth where and when he intends to be." "The defendant is now 71 years of age and in poor health," Cogan wrote. "He has suffered other serious physical, emotional and financial setbacks over the course of the last several years." After serving four years in jail, Fumo was treated in March for prostate cancer. While on supervised release, the former state senator "wishes to spend substantial time" at his home at the Jersey shore and his fiancee's farm in Halifax, Pa., Cogan wrote. 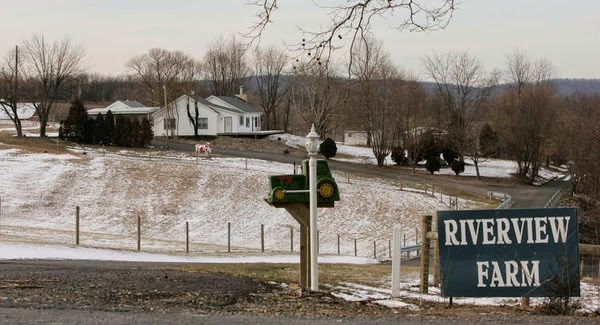 In 2011, Fumo transferred ownership of Riverview Farm with a fair market value of $337,552 to his fiancee, Carolyn Zinni, for $1, which attracted the attention of The Philadelphia Inquirer and the IRS. Besides visiting the farm, Fumo "also wishes to interact with friends, and former colleagues, and other business acquaintances in various places throughout Pennsylvania and New Jersey in order to try to develop a consulting business, and to pursue other business opportunities," Cogan wrote. Fumo has "expended an enormous amount of money for counsel fees, victim restitution and fines," Cogan wrote. "He also lost his Senate pension as a consequence of his conviction and, for all of these reasons, he wants to attempt to engage in income producing ventures while he is still physically able to do so, and while his many friends, business and political contacts are potentially in a position to help him find business opportunities." But the government didn't agree. In a July 2nd response, Assistant U.S. Attorney Robert Zauzmer wrote, "There is no reason that defendant Fumo should be treated differently than other defendants, simply because he owns or controls more homes than the average convicted defendant." In the government's motion, Zauzmer claimed that Fumo "twice went to the New Jersey shore before authorization was granted, and was called to account for that." Cogan, however, in an interview denied the government's charge. He described the incidents Zauzmer referred to as a "misunderstanding." Cogan said the judge had done the right thing. "There's nothing unusual about the judge's order granting modification of the standard travel restrictions in a case like this, not withstanding the government's opposition," Cogan said. A spokesperson for the U.S. Attorney's office declined comment.